Before I began the autoimmune protocol I'm not even sure I had ever heard of plantains, let alone ever tried one. Now they are a staple of my diet. 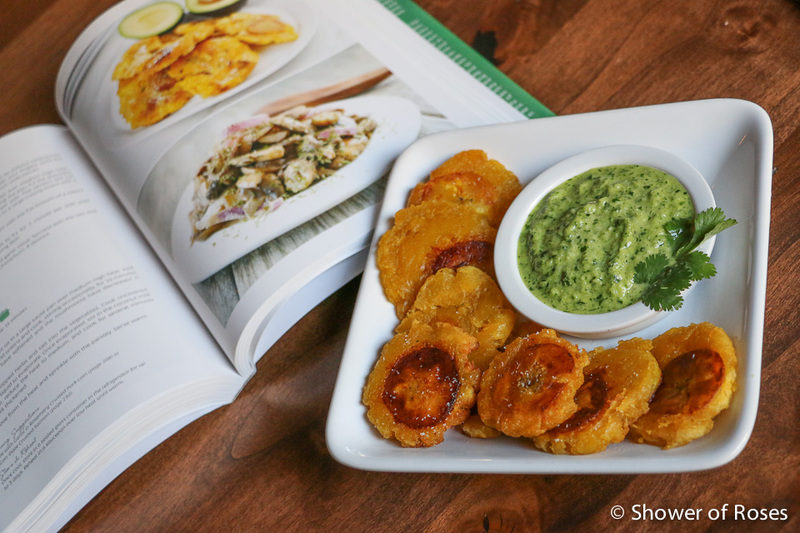 First it was just Plantain Chips but, now that I've tried frying my own green plantains, I have another new favorite meatless meal for Fridays! Like the Chunky Tuna Salad recipe I've been using for my wraps, these recipes are also from The Healing Kitchen: 175+ Quick & Easy Paleo Recipes to Help You Thrive. This cookbook has been such a great addition to my collection and I highly recommend it to anyone who is on the autoimmune protocol. Slice each plantain peel lengthwise from tip to tip without cutting into the fruit. Remove the peel by peeling it back with your fingers. Slice the plantain crosswise, on the diagonal, into 1 1/2-inch-wide pieces. Heat the coconut oil in a large, deep skillet over medium-high heat. Working in two batches to avoid overcrowding the pan, fry the plantains until golden brown, about 2 to 3 minutes per side. The centers will not be cooked through. Remove the plantains to a large cutting board with a slotted spoon. 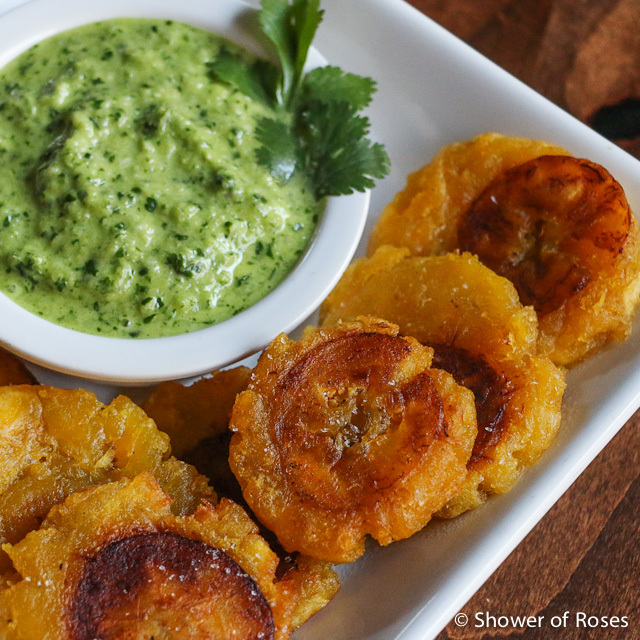 Smash the plantains by pressing them with the flat bottom of a heavy glass to create 1/3-inch-thick tostones. Return the tostones to the skillet and fry for 1 minute per side until crispy and golden. Transfer to a serving dish. Rub the tostones with the sliced garlic clove. Sprinkle with the salt and serve immediately with Cilantro Chimichurri, if desired. Place all ingredients except the olive oil in a food processor (I use my Vitamix) and blend until finely chopped. While the food processor is running, slowly pour in the olive oil and continue processing until well combined.